As a Marine with three children, I read with much interest North Carolina teacher Kiera Gallagher’s commentary, after its headline — “For military kids, the autumn brings trepidation and anxiety”— caught my eye. Although my two oldest kids are already in college, my youngest is a high school senior. Like so many parents of young college hopefuls today, I recognize too that this time of year is indeed a time of trepidation and anxiety for our kids. Ms. Gallagher’s thoughtful article highlighted the unique challenges associated with being a military kid, and praised the intent of the new Military Student Identifier (part of the 2015 federal Every Student Succeeds Act). She also pointed out that “to provide the greatest value for military families, it needs to be linked to programs with a proven track record of helping military-connected children and addressing their unique educational needs,” referencing the September 2018 Lexington Institute report “Getting School Districts Ready for the Military Student Identifier,” which offers best practices to help effectively implement such programs. I’d like to highlight some specific programs and organizations that exist, but were not mentioned or covered in detail in either Ms. Gallagher’s article or in the Lexington Institute’s report. These programs have been very helpful to my kids (and to thousands of others across the country), and there are also many similar support processes, resources and organizations available for military-connected children beyond the few I want to highlight here. However, with limited budgets, these resources don’t conduct much advertising, and often the only way people find out about them is through word of mouth, or though commentaries like this. First, the Military Child Education Coalition (MCEC) and its Student 2 Student (S2S) program (briefly mentioned in the Lexington report). Our high school didn’t have an S2S program when we arrived, so my oldest son started one, and my other two have actively participated — meaning, if there isn’t one at your kid’s school, they can start one. Related programs exist for elementary and middle schools as well. MCEC also offers valuable training opportunities, such as its National Training Summit for educators and administrators, and a free, semi-annual one-week leadership program (alternating between the U.S. Military Academy and the U.S. Air Force Academy) for selected S2S children. Second, the “Interstate Compact on Educational Opportunity for Military Children” is a policy recently agreed to by all 50 states and the District of Columbia to help provide continuity and fairness for military kids as they transition from school district to school district between states. Knowing and following its guidelines are essential steps parents, teachers, and administrators can take to help support our school-age kids. The program incentivizes schools’ compliance with the Interstate Compact, and encourages effective implementation of military family programs. States without such programs could easily establish them, expanding simple but critical support mechanisms across our country. Finally, the “Gratitude Initiative” (G.I.) program offers free college preparation services and educational counseling for children (from eighth grade and up) of active-duty members and veterans. Students must apply to participate, and the volunteers who donate their time and expertise to G.I. provide incredible, professional-quality advice, mentoring, and college planning support. I can’t overstate how helpful and generous the G.I. program is. Although this is admittedly a bit of a public-service announcement, I have no affiliation with any of the programs or organizations I’ve mentioned above, beyond the fact that I’ve seen first-hand how they can benefit military kids. More information about all of them is easily available via any internet search engine, and I encourage interested readers to seek out the details. These programs can readily reduce some of that autumn “trepidation and anxiety” our teenagers and other kids might now be experiencing. Finally, I’d like to thank Ms. Gallagher for taking the time to write her article, and, more importantly, for dedicating her professional career to educating our nation’s youth, along with so many other wonderful teachers and administrators here in the U.S., and abroad. Military members like me are grateful that you recognize the unique aspects associated with being a military-connected student — and without your dedication, patience and commitment, I know that military kids would have a much more difficult educational journey. 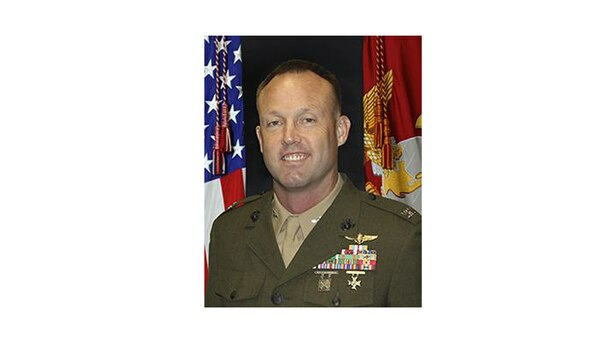 Glen Butler is a colonel in the Marine Corps and lives in Virginia Beach, Virginia. These are his own opinions.